The Garmin Hamble Winter Series lived up to its name on Sunday with torrential rain and a chilly 18 knots from the North West that left competitors glad to repair to the bar after racing. 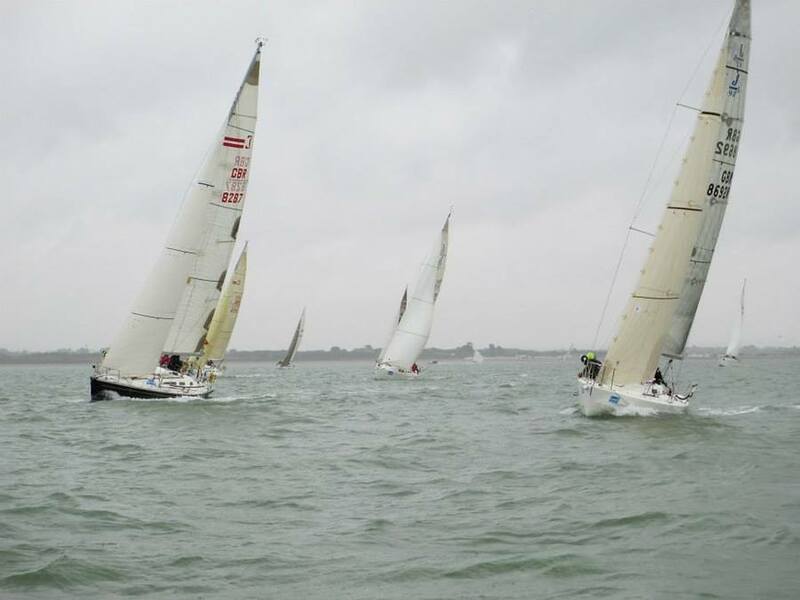 But despite the conditions the crews and the volunteer race teams alike braved the conditions to fit in two exciting races. The worst of the rain held off until the second race, with the first sailed in a marginally preferable light drizzle. In IRC 0, James Gair’s Localletterbox Zero II beat Andrew Arthur’s Vixter by three minutes in the first race and four in the second to top the overall rankings. In IRC 1, Puma Logic finished ahead of Andy Uren’s Winston in the first race and Chris Brook’s Sailplane in the second race to top the results table by three points. Things were closer in IRC 2, where Peter Morton’s Salvo pipped Mike Bridges’ Elaine by two seconds on corrected time to win the race. Elaine turned the tables in the second race to beat Salvo by a minute on corrected time, and now leads the series tied on 3 points. In IRC 3, Nick Munday’s IndulJence beat David Greenhalgh’s J’ronimo by 18 seconds in the first race and Jamie Muir’s Scarlet Jester by five minutes in the second, and now sits atop the overall results. In IRC 4 it was Toby Gorman’s Sigma 33 Stan the Boat who won both races, ahead of Bernard Fyans’ Erik the Red and Allan Fraser’s Prospero of Hamble. In the J/109s, Paul Griffith’s Jagerbomb won the first race ahead of David McGough’s Just So, but in the second race Just So took first and now leads the series by 2 points. In the J/111 class, Cornel Riklin’s Jitterbug beat J-Dream to take first overall. 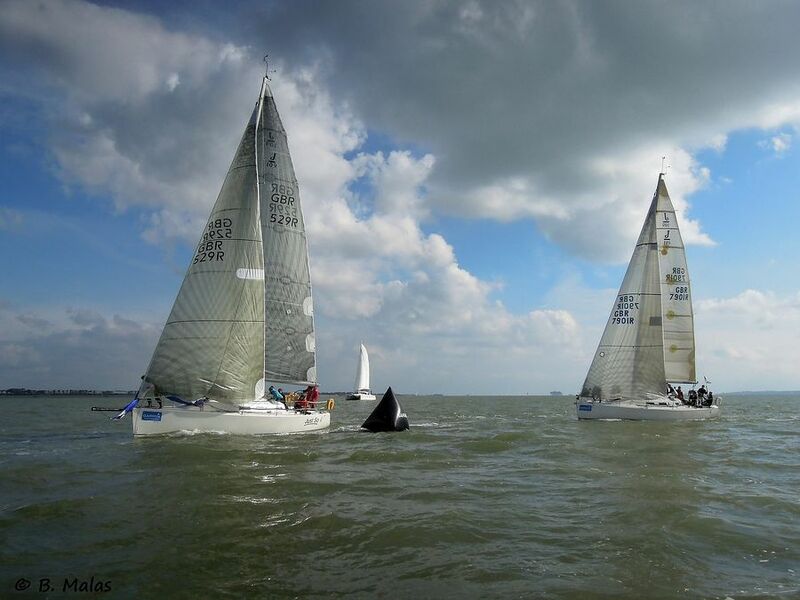 As ever, some of the closest racing took place in the Sigma 38 class, where Nigel Goodhew’s Persephone took two firsts, ahead of Kevin Sussmilch’s Mefisto which scored two 2nds. Day prizes were – quite appropriately, given the foul weather conditions – provided by clothing supplier Hudson Wight at the prizegiving back at Hamble River SC after racing, as well as by Southern Ropes, whose prizes went unawarded last week due to the lack of wind. 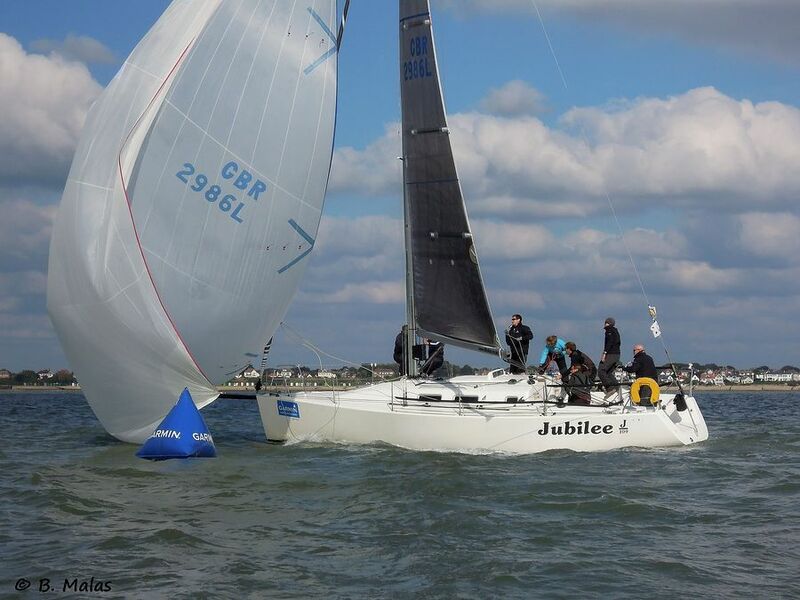 Saturday and Sunday also hosted the first of two Doyle Sails Hamble One Design Championship weekends, which ran starts for J/70, J/80, SB20 and J/109 classes. Saturday saw a pleasant if shifty 12-15 knot breeze that swung between 078 and 097 degrees, and bright sunshine. As in the main series, Sunday was far less pleasant, especially for the open sportsboats, but at least there was some breeze! Iain MacKinnon’s Tigh Solius 3 had a successful weekend in the J/109 class, winning three of the five races, and currently sits atop the results ahead of Tony Dicken’s Jubilee in second place and Paul Griffith’s Jagerbomb in third. In the J/70s, Malcolm Jaques’ DJango was similarly successful, also scoring three wins in five races. The RAF’s entry, helmed by Simon Ling is just two points behind with 9 points, ahead of Ian Wilson’s Joyride in third. Jon Powell’s Betty leads the J/80 class after a strong performance over the weekend – they scored two seconds and three firsts and lead the lass by four points, ahead of P Liardet’s Aqua-J and Yannig Loyer’s J out of the box. In the SB20s, Mark Gillet’s Poor Buoy scored two firsts, two seconds and a third to lead the series at this mid-way point, ahead of Scott Graham’s Chill Pill in second and Tim Newton’s Polar Bear in third. After a weekend of close-matched and frenetic racing, the Doyle Sails Hamble One Design Championship returns in a fortnight’s time, with another five races scheduled. Kudos to all the teams who braved Sunday’s weather and to the volunteers who manned the committee and mark-laying boats. 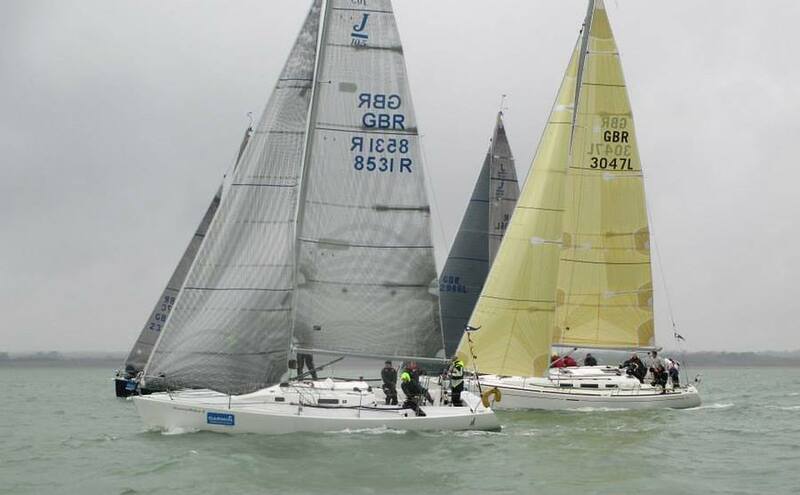 Here’s hoping for better weather next weekend, which hosts the final MDL Hamble Big Boat Championship weekend and the third race day of the Garmin Hamble Winter Series, with One Sails as the Day Sponsor.